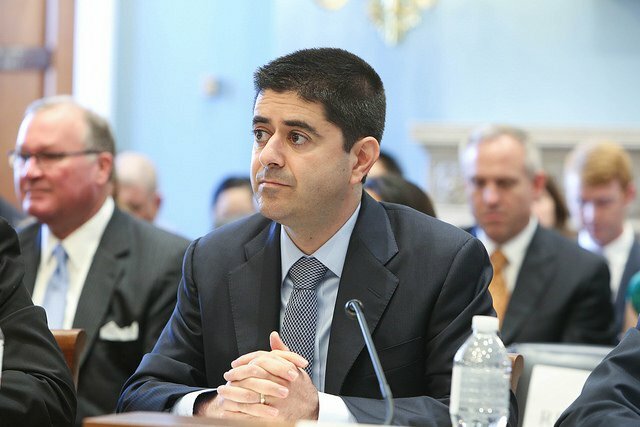 Yesterday, Congress addressed in two full hearings why it’s time to start taking a closer look at why and how digital assets, including cryptocurrencies, are impacting U.S. marketplaces. The following condensed information is a run-down of what the House Committee on Agriculture and the U.S. Commodity Futures Trading Commission (CFTC) discussed during the hearings regarding cryptocurrency and distributed ledger technology (DLT). Some might find it odd to see the House Committee on Agriculture represented at a hearing on digital assets and their related technologies. But Chairman Michael Conaway made it very clear why the House Agriculture Committee was there, explaining that they have a vested interest in shaping and constructing the definition of a security because it directly impacts the definition of a commodity. The panel of witnesses sitting on Capitol Hill presented in-depth yet simplistic explanations for what needs to be done. Applying those proposals, however, is an entirely different conversation. According to Joshua Fairfield — William Donald Bain Family Professor of Law at Washington and Lee University School of Law in Staunton, VA — the potential value of blockchain technology is considerable. First, the technology has allowed for collaboration among communities of artists. Second, new forms of corporations have begun to rise up. Third, there is now a fast and low-cost check settlement opportunity, which helps to pave the way for immediate payments. Fourth, by digitizing securities, it helps to place everything in an easily accessible format for all participants. Fifth, having open and low-cost electronic mortgage and secure transactions filing systems in place helps ensure that the recording process of deeds and other property-related documents is secure. Sixth, it provides for secure international remittances. Lastly, the potential to bring the voting system onto the blockchain helps to minimize the potential for fraud-related incidents, as we have recently witnessed with Russia in the 2016 presidential election. Fairfield pointed out that personal property has had some difficulty entering into the digital space. “We just don’t own that much personal property online,” he stated. But this behavior can be attributed to the early days of the internet, primarily movements like Napster, Limewire, Kazaa and online torrents. This led intellectual property (IP) owners to show concern as to the illegal copying and distribution of their work. “It took several decades to develop a technology like the blockchain, that could be traded, held, bought and sold — but not duplicated,” explained Fairfield. The law professor concluded his proposal by stating that tokens aren’t just used as a security or a commodity, but rather as a way to represent our property interests and rights online — if we let it. 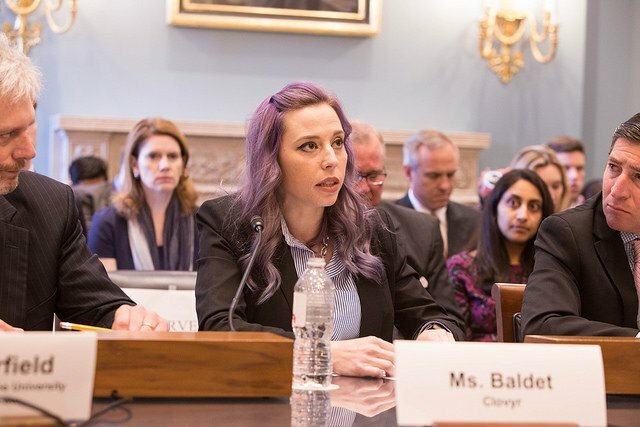 The next witness, Amber Baldet, CEO and co-founder of Clovyr, emphasized the importance in balancing the value of this technology with the need for protecting consumers and national security. The biggest takeaway from Baldet’s proposals was that we need to understand how to strike a balance with this technology while still respecting our constitutionally protected rights. She emphasized “those technologies that might disrupt a business or add complexity of regulating the internet,” as these have the potential to represent both a critical infrastructure and a publicly shared good. What’s the Next Killer App? According to Baldet, the biggest application on the blockchain market is money — specifically, the concept of peer-to-peer (P2P) payments. “These P2P payments will grow into a daily part of our professional and personal lives,” she said. As we begin looking at different payment instruments, we must go back to fundamentals and ensure we understand the purpose of “bearer instruments.” These are documents that entitle its holder to rights of ownership or title to the underlying property, such as shares or bonds. If we are injecting blockchain technology and cryptocurrency into this space, it becomes even more relevant, as this technology can be applied to many things we own such as mortgages, securities, collectibles, IP rights and personal data. In a way, these new payment systems and accompanying currencies serve as unique “digital bearer assets,” as Baldet described. While both the U.S. government and the accompanying marketplace are struggling to understand and apply these technological frameworks, other areas of the world are beginning to embrace the industry despite its gray areas and are learning by doing. Take Malta and Switzerland, for example. Malta has already earned its name as the world’s blockchain island, and Zug, a Swiss city just south of Zürich, has been called “Crypto Valley” for the plethora of blockchain companies operating in its limits. In addition, Baldet also pointed to countries like Afghanistan and a handful of African countries that are looking to capitalize on the new technology. For example, in Afghanistan, blockchain technology has helped people like Roya Mahboob, CEO and co-founder of Digital Citizen Fund, to enroll over 9,000 Afghan women and girls in education programs. In efforts of empowering women to start their own businesses, the next steps are to begin putting on Bitcoin conferences to help showcase their projects. Most important, Baldet wants the world to recognize that the blockchain is not a panacea. “When it comes to electronic voting, we need to take extreme caution, as we aren’t ready to tackle the complex computer science and coordination problem,” she explained. “Crypto networks offer a new way to build digital services like any internet application that may exist today, such as ridesharing applications and social media applications,” said Scott Kupor, the managing partner at Andreessen Horowitz Capital Management, explaining that venture capitalists are interested in “crypto networks” as they relate to the crypto ecosystem. According to Kupor, the success of community-based networks can be traced back to two major movements — the open-source movement and the open-protocol movement. The open-source software movement started back in 1983 and was considered to be somewhat of a radical notion at the time. Why is this relevant? Kupor goes on to explain. On the other hand, open protocols are the structural foundation of the internet we are familiar with today. The idea behind these protocols is that the protocol wouldn’t change and would provide for a steadier process when it comes to understanding how the software infrastructure operates. Kupor ended proposing that a framework needs to be developed that requires a risk taking but, at the same time, provides for clarity and certainty to market participants, which results in market integrity. 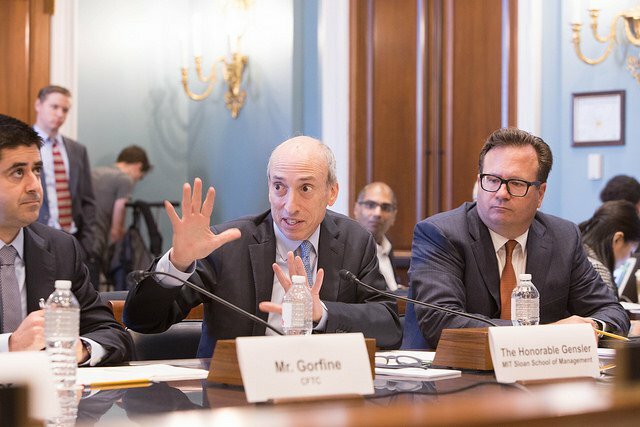 Daniel Gorfine, CIO of the CFTC and director of LabCFTC, emphasized the need for us to continue studying and learning and to keep pace with an ever-evolving field. “Given the potential to tokenize a broad range of economic assets, it is important to remind the public that digital assets can also be commodities or derivatives, depending on their term and how they are structured,” explained Gorfine. “Given its potential and its challenges, the CFTC chairman has made it clear that the proper response by regulators is not to dismiss the entire movement as misguided and foolish, but rather to take the time to learn and facilitate the promise, and guard against risks and bad actors,” he continued. It lowers costs and risks in the financial sector. By bringing it into this world of public policy frameworks, it minimizes chances for illicit activities, ensures financial stability and protects investors and consumers. The SEC and CFTC have a role to play, as evidenced by their notices and enforcement actions. The ICO market is ripe with scams and frauds, and bad actors have found out how to use this new currency, including state actors — e.g., recent news of the 12 alleged Russian officials, and talks of Venezuela attempting to raise money off their oil and outrunning the U.S. sanctions policy. There are gaps in our laws because, first and foremost, cryptocurrency exchanges are attempting to act as state money transmitters, similar to how Western Union and MoneyGram operate. This cannot work due to the complexity and traceability issues associated with these exchanges. Additionally, there is a lack of brokered access, where you don’t have brokers sending off or issuing 1099-B’s to individuals. It’s only now that issuers of securities in the space are coming into this field, but at a very slow rate. Finally, the unregulated, underlying crypto cash market is a mess, and it becomes very difficult for the CFTC to be able to predict future patterns or behaviors. 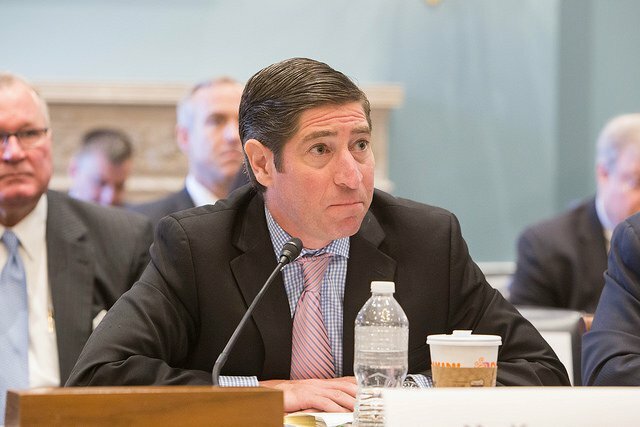 Gensler ended his statement by proposing a question on whether the CFTC or some other agency should be given additional authority to regulate this underlying cash crypto market, believing the CFTC to be best suited for the task. At the end of a very long day of hearings, Congress seemed to be very receptive to the idea of this new technology, but it is still concerned about ensuring that it is properly regulated where appropriate. To view the hearing in full, you can watch it here. All images authorized by House Agriculture Committee, July 19, 2018. Good day very nice website!! Guy .. Excellent .. Wonderful ..
to seek out numerous useful information right here in the publish, we need work out more techniques on this regard, thank you for sharing.